Only supplying outstanding socks with the best fit and performance characteristics from the highest quality materials is the unspoken priority. 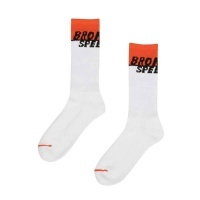 The best socks available for skateboarding, longboarding, snowboarding and other board sports. 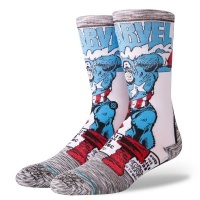 These epic socks don't only look amazing but they're packed full of features to keep your feet comfortable, allowing you to perform for longer. The product of growing up in Brooklyn, The Notorious B.I.G was the definition of street hip hop. 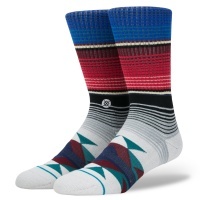 This Stance Anthem sock combines music with comfort and style. The praise collection pays tribute to the legendary music artists that are no longer with us today. 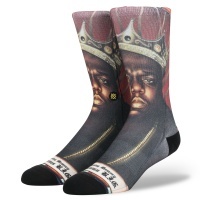 Let the legend of Notorious B.I.G. 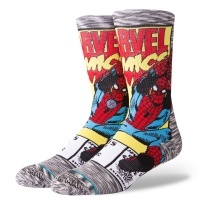 live on with these special socks. 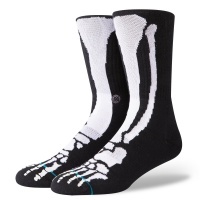 X-Rayted socks from Stance, the Bones 2 socks are a must for any bonafide sock collector. Skaters can show off how their bones should look, before taking up the gnarley sport. Despite the simplicity of its appearance, Stance's Boyd 3 is anything but basic. With specific padded areas of this sock, reinforcement and ventilation, these are not only comfortable, but durable and breathable too! 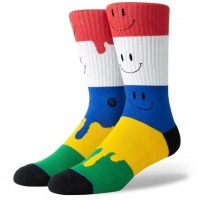 We love this old school colour block smiley face design along with all the tech Stance has put into this sock. We think you will too. The perfect sunset pink colour. 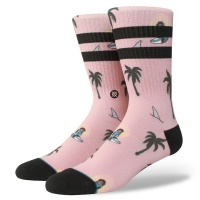 Hang 10 with these surfin monkey socks from Stance. Its luxurious combed cotton and deep heel pocket cradle your feet. 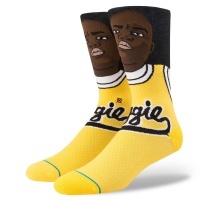 From professional doodler Hattie Stewart comes the Hattie Eyes Socks by Stance. 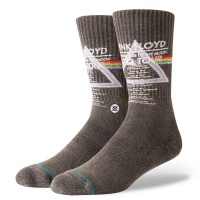 Featuring re-enforced heel, toe and arch support these are the socks you've always wanted. Keeping it simple, these boxers let you keep it low key whilst maximising comfort and performance. Great features of these boxers really excel in the comfort and support. Once a hero, always a hero. 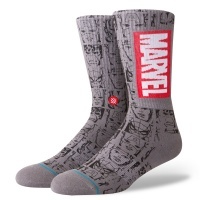 The Marvel Series from Stance Socks feature some of the hottest graphics of 2018/19. 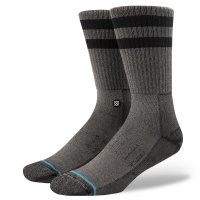 Featuring re-enforced heel, toe and arch support these are the socks you've always wanted. Aloha! 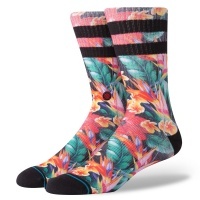 Take your skating to tropical levels with these sick tropical influenced PAU socks. Re-enforced for specific support throughout keeping your focus on skating. 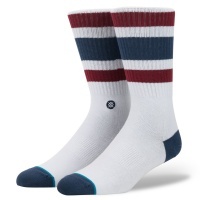 We love skating in Stance socks. And this Rick & Morty dipping sauce print, along with Stance's signature logo only adds to the love. 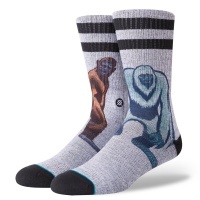 We love skating in Stance socks. 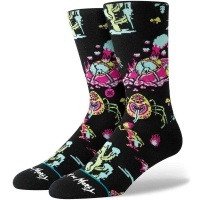 And with this custom Rick & Morty print along with Stance's logo embroidery on the ankle we think you will too. These stylish Stance Wholester San Andreas boxers use an impeccable blend of cottons to produce these super comfortable Boxers. With the internal support pouch, you wont look back. 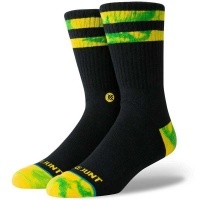 Stance socks have collaborated with Shake Junt and designed this epic Green and Yellow signature technical skate sock. Wrap your feet in our Mexican blanket inspired San Blas. Featuring soft cotton, elastic self adjusting cuffs and arch support keeps you comfortable and top of the fashion chain. Aloha. Chill out in these Diamondhead boxers influenced by the beautiful tropical isles. Hibiscus flowers and pastel blue colours take you away in comfort and style. Take a wavy trip through the intergalactic psychedelic universe with these Stance Wholester UFO Boxers. With the internal support pouch, you wont look back. Our Uncommon Solids are the staple to every sock drawer. Specific cushioning and supports provides you with unreal comfort with breathability. 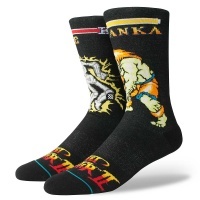 The original Stance sock. 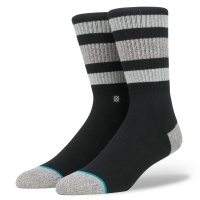 Specific cushioning, arch support and a seamless design, this is one of the comfiest socks you can treat your feet to. 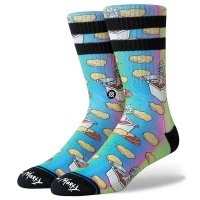 These socks are very limited and are sick. 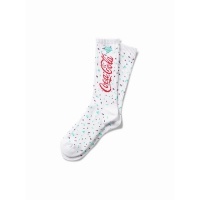 Who doesn't want to rock Diamond socks and support Coca Cola on the way. Refreshingly comfortable. 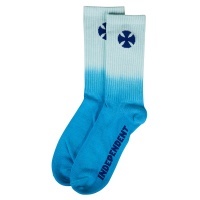 These Faded Blue socks from Independent are a favourite here at ATB. 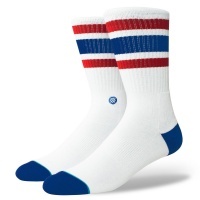 The super comfortable blend of cotton, polyester and elastane combine to produce a great looking, durable sock.